The most enriched Greek Package is here. Don’t miss the best Greek TV channels! Αntenna Satellite is the leading Greek channel in the US. 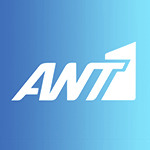 It broadcasts the most successful Greek series, entertainment programs, sports and all the current events in live transmission with news bulletins and current affair shows from Greece 24/7. Furthermore, the schedule is enriched with tailored features exclusively for Greeks living abroad. Αntenna Satellite broadcasts exclusively from Greeks living abroad the top home matches of 8 soccer teams of Super League exclusively for Greeks living abroad and all the matches of Greek Cup… more than 160 live matches per season! 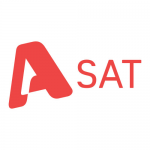 ALPHA SAT is broadcasting live 24 hrs per day the best programs of ALPHA TV which is the top rated Greek TV Channel. 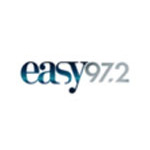 Entertainment, informative, music, cooking and Greek series in one Channel. The top names of Greek TV every day only on Alpha Sat: Eleni Menegaki, Antonis Sroiter, Spiros Papadopoulos, Viki Xatzivasiliou, Aggeliki Nikolouli, Stamatina Tsimtsili, Nikos Manesis and many more. Greek Cinema Channel is the first Greek language film channel which broadcasts nonstop the top classic and newly released Greek movies. Enjoy the biggest stars of GREEK CINEMA 24 hours per day: Vougiouklaki, Alexandrakis, Horn, Merkouri, Lampeti, Fotopoulos, Xanthopoulos, Veggos, Karezi, Voutsas, Kourkoulos, Laskari, Konstantaras and many more. 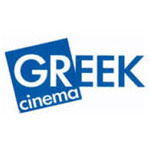 More than 400 movies per year at Greek Cinema Channel ! Sport Plus is the Greek sports channel. SPORT PLUS broadcasts live the top games of Greek Super League Championship (First Division), all matches of Greek Football League (Second Division) and the home games of Olympiakos, Panathinaikos and AEK for the Greek Basketball League (First Division). In addition, the channel broadcasts daily and every weekend sport news and the top programs of Novasports Channel from Greece. The most important games of Greek Soccer and Basketball 24 hours per day exclusively on Sport Plus! 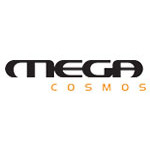 MEGA Cosmos is the international channel of Mega Channel for Greeks living abroad. It broadcasts a multitude of programs live from Greece: the top – rated Greek series including comedies and dramas, movies, game shows and several shows. 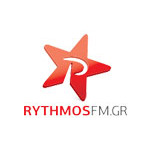 Rythmos Radio is the number one music Greek Radio! Enjoy the latest Greek hits and exclusivities, straight from Greece. Enjoy live relaxed listening, soothing tunes during all day. Always the greatest music! 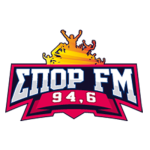 The number one sports station in Greece! Enjoy the latest sports news, sports talk shows, games and news from Greece. Sign up now and get exclusive DISH news every month about our services, special offers, program and contests! Subscribe now! Get The Greek TV Channels You Love, With Greek TV From DISH!